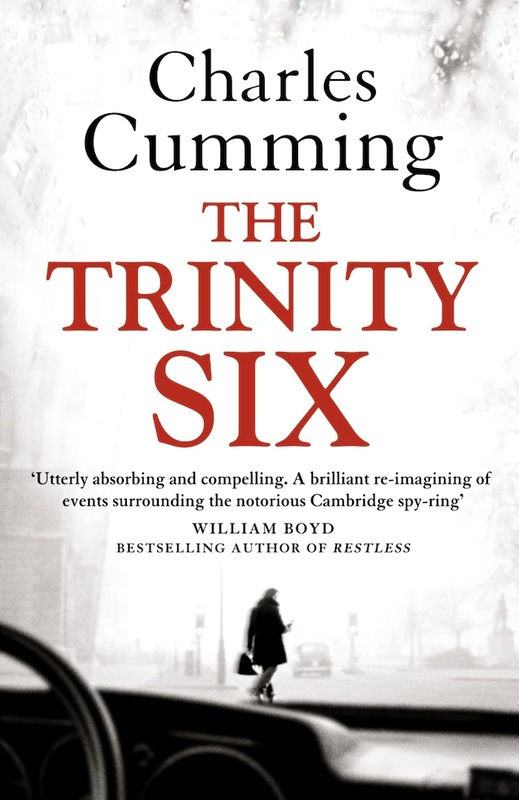 Initially, The Trinity Six dodders along somewhat like an old-fashioned 1960s spy story, and seems hardly relevant to the modern world. A history professor inherits a project from a journo friend which goes back to the days of Philby, Burgess and Maclean. The title of the book and the first third of the story seem rooted in the days gone by at Cambridge. The protagonist learns more from an elderly chap, who we suspect is an ex-spook. The story is dribbled out at an infuriatingly slow pace, cluttered with domestic and romantic interludes. I very nearly gave up – and I normally enjoy espionage stories from all eras. This one just took a very long time to get going. And then suddenly Things Started Happening and the relevance to the modern world was revealed. The plot is actually very adroit and plausible enough to have actually happened. After the midway point I was drawn into the novel and fairly scampered through it. I think it’s safe to say that if the Russian premier wanted you dead, then you wouldn’t be gambolling around Germany avoiding trained assassins. So The Trinity Six for me was quite uneven and not entirely rewarding. Nice idea, but it felt neither fantastical (like a Bourne thriller) nor gritty and realistic. It fell between the extremes, although I did appreciate the overall storyline. Once you get past the extended set-up in the opening chapters, the writing is easy and accessible; much more modern in style than the older generation of espionage authors. So it flows rather faster and leads the reader by the nose – while with the grand masters of the genre the reader has to do rather more work in figuring out what goes on in the gaps where deeds are left unsaid and actions implied rather than described. Great review Roweena. I agree with you, with thrillers, adventures, dramas, anything – I like any number of genres but the book has to have enough plausibilty to make me suspend my disbelief. There is always a certain amount of faith needed from the reader to make adventure and thriller books work, and I’m happy to impart it, but the writer has to have given me enough to justify it. Are there any espionage/thriller books along these lines that you would reccommend? Oh, easy peasy: Alan Furst. Absolutely the bestestest espionage author around today. But his are historical, all based around WW2. I’ll cogitate over a recommendation for modern espionage.